We raised over $15,000 for our #CSWBigShare campaign! Our original goal was $10,000! We have so much gratitude for everyone that donated, shared our posts and help spread the word about our campaign! A big S/O to Community Shares of Wisconsin for putting on another great Big Share! This year we want to raise $10,000 during the Big Share to purchase a Bullitt cargo bike to serve as our mobile bike repair vehicle, along with 200 helmets and 200 locks. Help us earn matching funds from Budget Bicycle Center, Madison Community Foundation and the Wheels for Winners Board by contributing now through March 5. 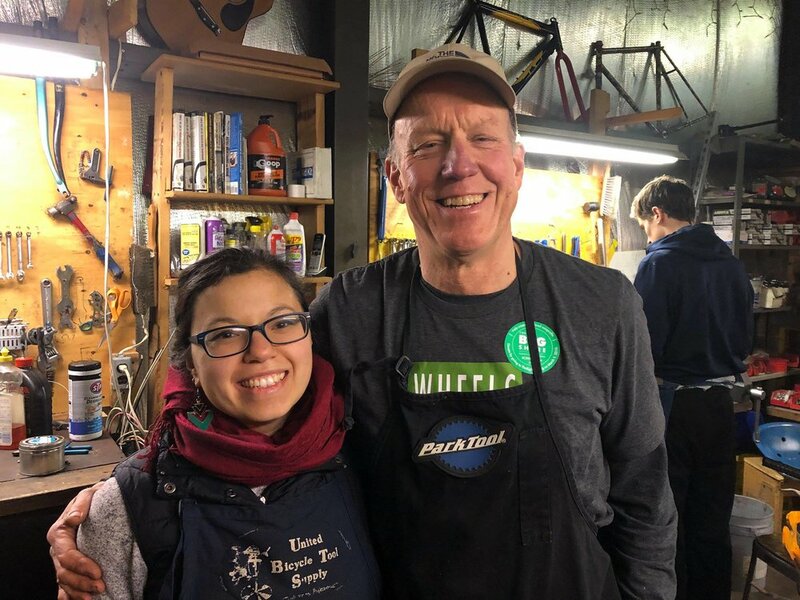 Free Bike Tune-Ups this Wednesday and Thursday! We will be offering free bike tune-ups this Wednesday (9/19) and Thursday (9/20). On Wednesday we will be at Centro Hispano Farmer’s Market from 4-7pm and on Thursday we will be at the Goodman Center’s Back To School Family Fun Night from 5:30-7:15pm.